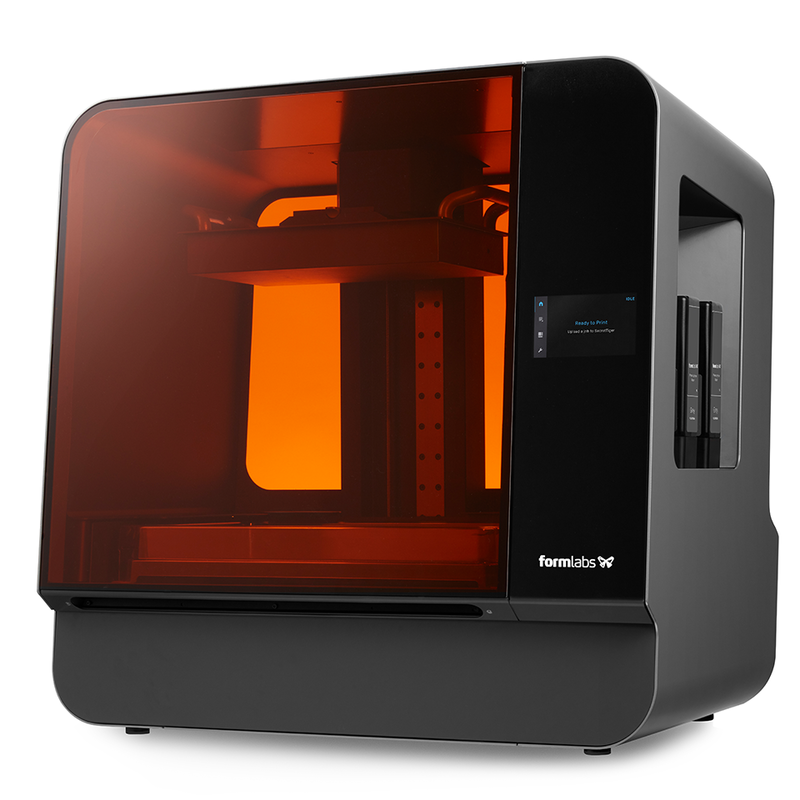 Form 3L is an affordable large format 3D printer designed for professionals for fast turnaround of industrial-quality parts, printed using an advanced Low Force Stereolithography (LFS) process . LFS 3D printing uses a flexible tank and linear illumination to deliver incredible surface quality and print accuracy. Lower print forces allow for light-touch support structures that tear away with ease. Additionally, this process opens up a wide range of possibilities for future development of advanced, production-ready materials. Inside the Form 3 and Form 3L is a completely redesigned optics engine, the Light Processing Unit (LPU), which contains a system of lenses and mirrors to deliver accurate, repeatable prints. Within the LPU, a galvanometer positions the high-density laser beam in the Y direction, passes it through a spatial filter, and directs it to a fold mirror and parabolic mirror to consistently deliver the beam perpendicular to the build plane.